I've got overseas family staying at the moment so the games have been on the lighter side. Regardless of the game, if we are having a good time and creating memories with family and friends - I don't really mind what we are playing. With that said, the highlight of this week was when I finally was able to get a game to the table that I've easily owned for a year and a half and still haven't played! Splendor: Yes a little more Splendor! Always a hit regardless of who I play it with, Splendor was brought out two different nights this week (might suggest something new for next week now though - not that I'm sick of it but its always nice to expand!). Coloretto: I've realized I'm not very good at this game! Always the simple games that seem to confound me and in our 7 games we played this week (3 players), I only managed to win twice! While not a push your luck game, there are some slight elements involved and whenever I can push my luck I'll go for it and in Coloretto it rarely seems to pay off. Also why I don't gamble - I'd be broke! Not a deep burner at all, but there's enough of a choices presented here where it feels like you have a little control over the game and gives you enough flexibility to still play well. As any card game, Coloretto has it's fair share of luck involved too! Exploding Kittens: Been a little while since I've played this and my thoughts are basically the same. It's definitely got its merits, but the kickstarter hype on this one was greater than what it deserved. It's a neat card game, similar to ones we've all played growing up with the twist being it's off-beat humor mostly involving cats. Unfortunately during a game, the finer details are largely overlooked and missed, making this a fairly straight forward card game with a few take that measures to boot. It's fun, but nothing too special. T.I.M.E. Stories - Asylum: Wow this one felt good to finally be able to open the Asylum case deck. As stated above, I bought this one a long while ago, have opened and looked it countless times and read through the rules a good four times just before nights when I thought it might get played. This week was a milestone as we had our first play through! I'll keep this spoiler free, but we all really had a good time in our attempt to unlock the mystery of the asylum, and even though after two hours of playing we came up short - there were many enjoyable moments during our experience. Time Stories is like playing out a clever, immersive, choose your own adventure with a group of friends and we were still talking about our experience the next day. Always a tell tale sign of a good game! Can't wait to head back to the Asylum and unravel its mysteries! 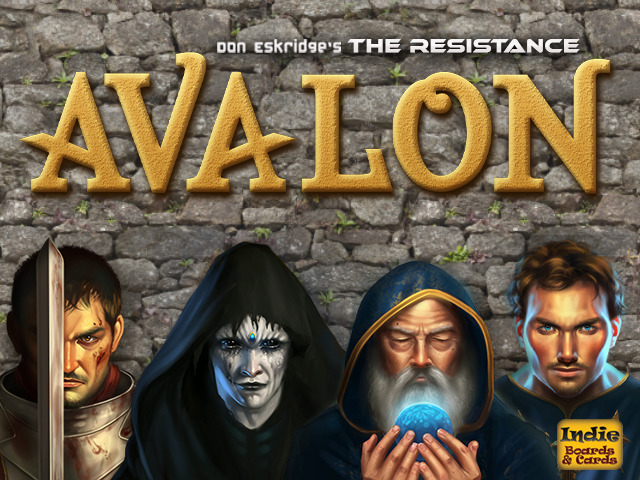 The Resistance - Avalon: Well for anyone who's read my '5 Popular Games I Wouldn't Purchase Again', they'd know that 'The Resistance' made the list. So why then do I now have the Avalon edition of the same game in my library? Three reasons. First: it's always known to be the better edition of The Resistance - most reviews and people's experiences attest to this, even though its a similar game it somehow plays better. Second: I love fantasy, knights, dragons, orcs, wizards, King Arthur and anything fantasy related piques my interest. I don't mind Sci-Fi, but fantasy worlds just resonate and appeal to me more. Third: the biggest reason that I now own The Resistance: Avalon - it was bought for me by a good friend! 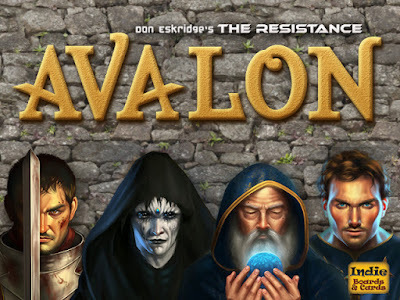 I'm pretty lucky to have good friends and being gifted Avalon was a complete surprise and one that now has me excited to once more enter the world of The Resistance, and I'm hoping that my first two reasons shine through the next time I can get a larger group together to give it a go! Stay tuned for my thoughts..